HP 1200W 110-240V Baikal BK-N+ Plus Power Supply 110-240V 80+ Platinum 94%. Includes (1) HP 1200W PSU, (1) X11 Breakout Board, (6) 6pin to 6pin 16AWG PCIE cables. HP 750W 110-240V Baikal BK-N + Plus Power Supply 110-240V 80+ Gold 92%. 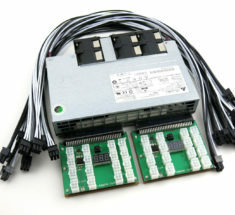 Includes (1) HP 750W PSU, (1) X11 Breakout Board, (6) 6pin to 6pin 16AWG PCIE cables. HP 1200W 110-240V Baikal Giant A900 Power Supply 110-240V 80+ Platinum 94% Efficiency certified. 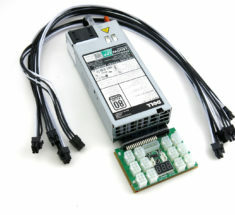 Includes (1) HP 1200W PSU, (1) X7B Breakout Board, (8) 6pin to 8(6+2)pin 16AWG PCIE cables. 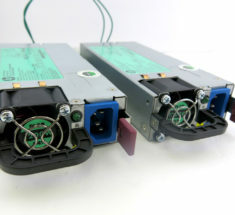 HP 750W 110-240V Baikal Giant A900 900M Power Supply 110-240V 80+ Gold 92% Efficiency certified. 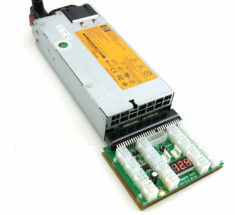 Includes (1) HP 750W PSU, (1) X6B Breakout Board, (4) 6pin to 8(6+2)pin 16AWG PCIE cables. HP 1200W 110-240V Baikal BK-N70 Power Supply 110-240V 80+ Platinum 94% Efficiency certified. 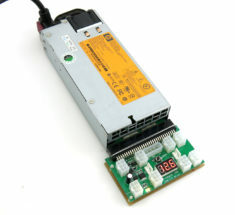 Includes (1) HP 1200W PSU, (1) X7B Breakout Board, (5) 6pin to 6pin 16AWG PCIE cables. HP 750W 110-240V Antminer Z9 Mini Power Supply 110-240V 80+ Gold 92% Efficiency certified. 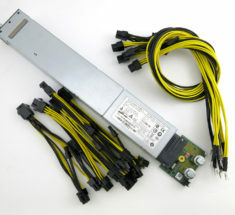 Includes (1) HP 750W PSU, (1) X6B Breakout Board, (8) 6pin to 6pin 16AWG PCIE cables. HP 1200W 110-240V Baikal BK-N240 Power Supply 110-240V 80+ Platinum 94% Efficiency certified. 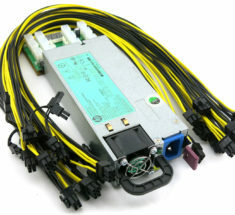 Includes (1) HP 1200W PSU, (1) X6B Breakout Board, (7) 6pin to 6pin 16AWG PCIE cables. HP 750W 110-240V Baikal BK-N240 Power Supply 110-240V 80+ Gold 92% Efficiency certified. 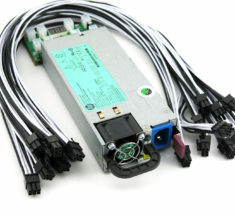 Includes (1) HP 750W PSU, (1) X6B Breakout Board, (7) 6pin to 6pin 16AWG PCIE cables.